To be honest I find it hard to keep up with all the changes, and very frequently I have to go look at the privileges list to see whether a user (that I'm looking at, so I have his reputation value) has a certain privilege or not. However, I still don't know what that user will actually see or how the site actually behaves for that user. There's quite a number of posts here on meta about "where did this go" and "why can't I" and I can't really tell either way how a site behaves for a user with a reputation level of 2500. I'd like to see this. 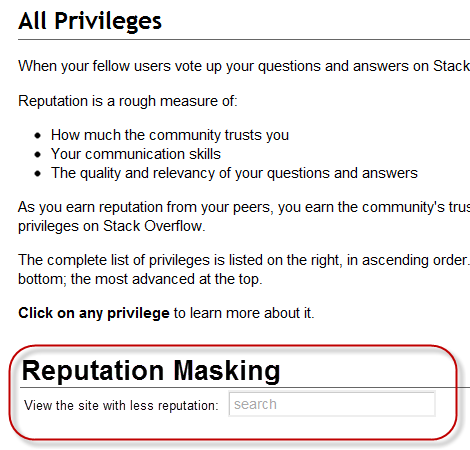 As a moderator, I agree that it's difficult to remember all of the privileges all of the time (and all of the reputation required for them). Sometimes, it would be nice to see exactly what they see. With the option to revert back on their own profile (in the same place where the rep box would be). Moderators should not be able to view the site as other moderators. The above is more to lower the chance of bugs, more than anything. 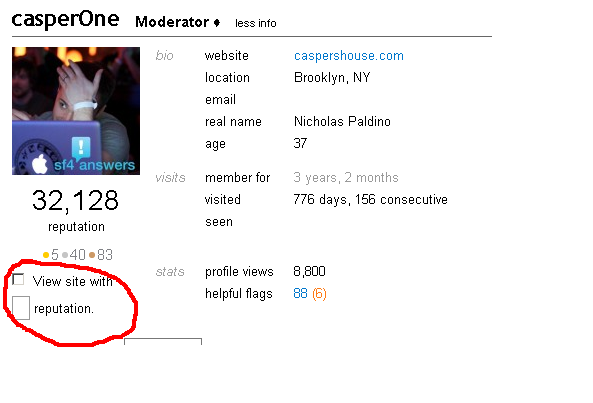 I've encouraged our mods to create a new account and try to get to 200 rep on their site as something fun to do, and an exercise with keeping in touch with how it feels to be a low-rep user. It's not mandatory for them to do this, we ask an awful lot of them already, but it's more strongly encouraged if you work here. For testing purposes on our dev tier, we have the ability to just become any 2k, 3k, or even 10k account that we want; contained nicely in a sandbox. That's how we test new features. But the best way to get the experience along with the UX the user sees is to just use another account for testing. Just ask Eggs McLaren. If it got to the point that a mod needed to be a user with 200 rep in order to figure something out, it would be a lot easier, and a much better use of their time for them to just ask us and let us know what might be going on. If we let mods troubleshoot stuff to the degree that we do, they'd do it, which means we've inadvertently asked for more of their time. I'm not quite comfortable with that, the tooling should allow them to get more done in less time, with fewer clicks. I don't think mods need to. We already have users with a certain amount of rep that can complain/appreciate the disadvantages/advantages of being at their rep level. If you want to know how other users are doing, you could simply ask in chat or attempt a discussion right here without getting the question, downvoted, closed, deleted, and utterly destroyed. Though mods can really do anything they want to, it isn't like they could try exploring as an user with x amount of rep. They could just "ignore" their special privileges and only use them when necessary. I don't see the use of changing the amount of rep you have can help mods experience the life of a user. I mean, they have an entire army of users they can ask from anyways. And they can stick to what they do best: moderating our SE sites from any trouble-makers. Not the answer you're looking for? 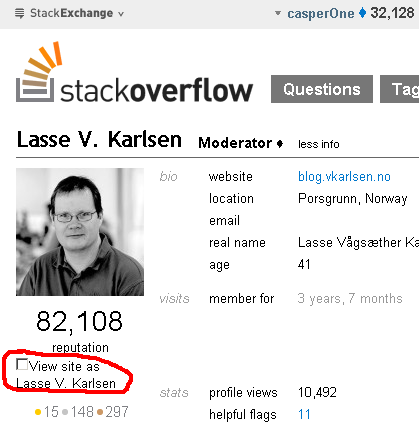 Browse other questions tagged feature-request status-declined reputation privileges moderation .